An increasingly large number of people are looking to get a job in the IT industry. The main reason for it is the high demand for niche positions and, of course, a good paycheck. If you haven’t worked in the IT industry before, or if you are looking for your very first job, the whole process of finding one may prove to be difficult. Luckily for you, this short article will point you in a good direction and help you focus on several key aspects to ensure you land the job. It might sound somewhat crude, but tech companies are not interested in general experience and rather want to see their potential employees have experience in the relevant sector/niche. The main reason for it is that the jobs in the IT sector are often divided into different niches, so by specializing in one thing, you are greatly increasing your odds of getting a job. It might sound like simple advice that can be applied to any job, but it is even more important in the IT industry. Psychologists say that the first impressions matter, and they indeed do. However, if you take a look at big companies, like Google, you will realize we’re not talking about suits or perfectly groomed appearances. What matters is your CV/resume. 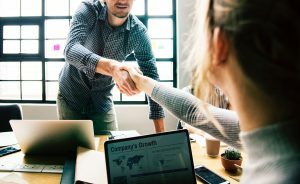 It is of utmost importance that your first introduction is as honest as it gets because you might be asked to demonstrate your skill set during your interview. Not being able to do so might make the interview end on the spot. The second part of fixing your CV is expanding it. You are never too old to learn and just because you have already been proficient in one field doesn’t mean that you cannot add to your expertise. By adding more skillsets, you are incrementally adding more chances for you to get your ideal job. People in tech business often operate in small circles and prefer to stick together. By knowing the right people, you may land yourself more interviews or even a job position. 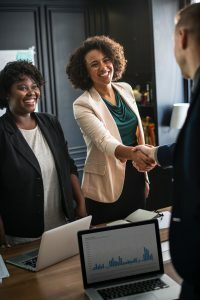 When it comes to networking, good advice would be to attend IT-related events in your area as they are a great way of meeting people in the line of business. At the same time, you might become a part of a tech startup that requires someone with your knowledge. IT industry is growing and with it the number of job positions. 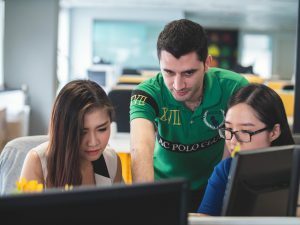 Since it is one of the more popular sectors nowadays, finding a job in the IT industry won’t be all that difficult with the appropriate knowledge. However, before even start looking for a job, make sure to evaluate your strengths and apply to positions where your knowledge is most needed.